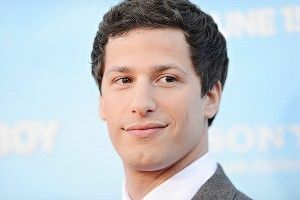 » Andy Samberg Is Getting a TV Show in the U.K.
Andy Samberg Is Getting a TV Show in the U.K.
After a seven-year run on SNL, Andy Samberg is now officially a free agent, and he’s already got his first big post-show-era project lined up: This Friday’s archetypal Sandler-ian comedy That’s My Boy, which, depending on how good a mood I happen to be in, either looks like it’ll be low-expectations sneak-hilarious or the worst thing of all time. But now there’s another, lower-stakes move in the works for our dude: BBC Three has announced a six-episode series called Cuckoo that will star Samberg as the title character and will hit the air later this year. And while you may be rightfully wary of Samberg pulling off the always-tricky transition from SNL to movie stardom, this across-the-pond limited-run TV show business sounds like a pretty safe bet. Sounds promising enough, right? And even if it’s a dud, it won’t really matter, as it’s only six episodes, and it’s airing in a different country. If it’s hilarious, though, surely you’ll be hearing about it from all manner of people excited to tell you about oh my god this crazy secret British show starring Andy Samberg that they’re really into right now. And if it’s really hilarious, surely some Stateside network will pick up the short run. (You may recall that David Cross’s The Increasingly Poor Decisions of Todd Margaret was a U.K. production that aired over here on IFC. The plan the whole time with Margaret was to show it in both countries, though.) The point is, it’s not a career-maker or a career-breaker, but instead a small, possibly great addition to the CV. Seems like a pretty solid hedged bet there by the wily Mr. Samberg. We hope Cuckoo cements the special relationship between our two great countries. I imagine Obama and Cameron will be watching closely.” Hey, it’s funny already! Grading the Top 10 Songs ... IN JAPAN!